In the wake of the revelations about Harvey Weinstein’s behavior over the last few decades, the question has become: Who knew? Multiple actresses have come out with personal stories about experiencing sexual harassment at the hands of Weinstein. Most actresses say they had at least heard rumors. A lot of actors say the same. But many actors and actresses, especially high-profile ones, say they had no idea Weinstein was even capable of such behavior. 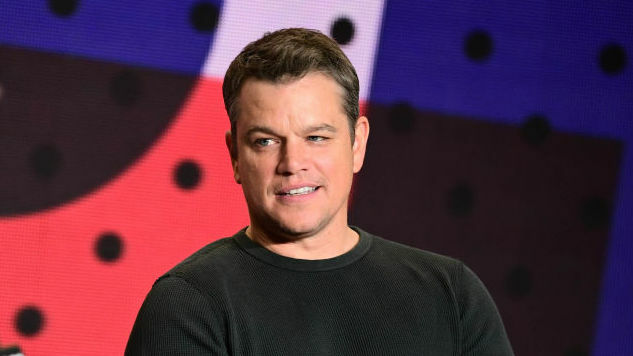 Matt Damon is the most recent of these, saying in an interview with Deadline today that he had no inkling of Weinstein’s predatory behavior—”I did five or six movies with Harvey [...] I never saw this”—and that he “would have stopped it” if he had. But he also made an effort to clear his name. So Waxman essentially confirms what Damon was saying: that he didn’t realize that by speaking positively about Fabrizio Lombardo, he was covering for Lombardo’s activities. No matter what you may think about Damon’s knowledge of Weinstein’s crimes, that he didn’t know anything unsavory about Lombardo does seem plausible. Of course, most will remember that Affleck didn’t have such a strong response when his brother Casey was accused of similar activities. And as Damon himself said, Affleck has done “five or six movies” with Weinstein. This seems like ample opportunity to notice that something, anything, was off with Weinstein’s behavior. Maybe it was too small for Damon or Affleck to see—or maybe they weren’t looking all that hard.